Caitlin Gibson is a producer with a particular focus on community arts and development and radio broadcasting. She is passionate about facilitating creative programs that engage diverse communities and tackle complex, social ideas. 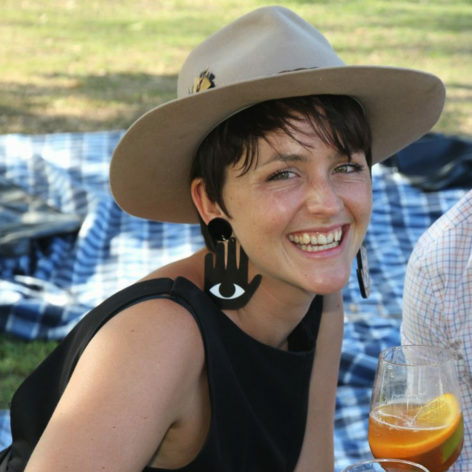 She is the Associate Producer at PYT | Fairfield, an innovative and successful arts company creating award winning live art, theatre and dance works responding to our diverse and exciting community. For the past 5 years Caitlin has also worked as a freelance radio/audio producer for organisations like the ABC, FBi Radio, 2Ser, Sydney University and The Guardian Australia and as the General Manager of ElectroFringe, a not-for-profit arts company that works with experimental and new-media artists to present a diverse range of events, workshops, exhibitions and partnerships. Caitlin holds a double degree in Fine Arts/Arts from the University of NSW and a Graduate Diploma in Journalism from the University of Technology Sydney.